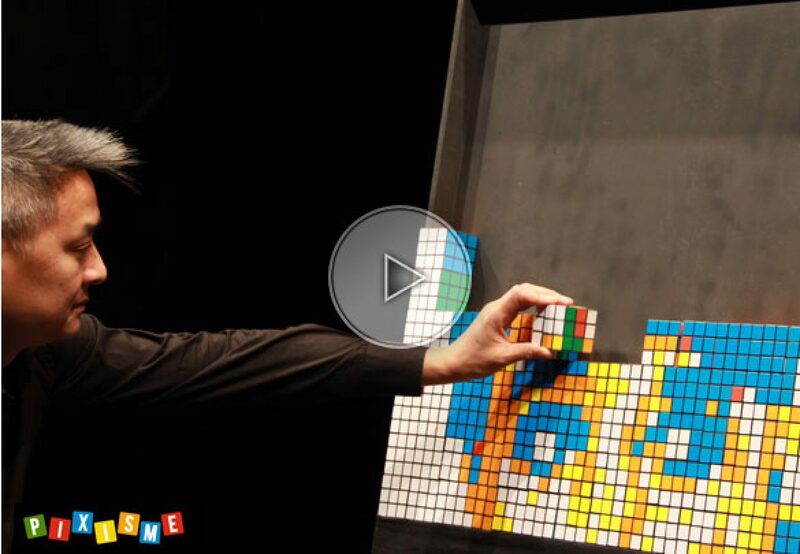 A Belgian artist creating a new kind of visual performance called "Pixisme". It consists in creating portraits, logos, objects and all sort of artworks by just manipulating cubes individually and then combining them together. A portrait format usually requires him to work with around 304 cubes.